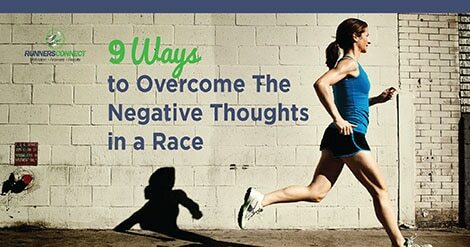 We hear that running is 90% mental, and we know that once you let those negative thoughts come into your mind, they can quickly send you backwards as your thoughts spiral out of control. So why is there not more out there helping us with the mental aspect of running? That moment in a race when you start to believe the plea to slow down, and you start to actually believe the “I cant do this” thoughts. Before you know it, you are questioning why you put yourself through this. Then you go even further and start to question your sanity; “why would anyone PAY to do this?”. What feels like a lifetime later, the finishing line comes into view, and suddenly your second wind arrives. You power past people in that straightaway, feeling strong, crossing the line and feeling that rush of endorphins; THAT is why we do this, but it is hard not to feel disappointed in yourself. If only I kept up my pace, and didn’t have that funk in the middle, who knows how much faster I would have run. Is there anyone not nodding their head? Before I go any further, I just described this situation, and I am an elite runner. EVERYONE has those thoughts from time to time. Everyone has had those races, even elite runners, and you should find some comfort in that, knowing that when you are struggling, if you look to your left and right, the chances are, those people are going through those same emotions you are. Recently, I interviewed bestselling author and sports psychologist Dr. Stan Beecham, who gave great advice for how to get the most out of your racing, even when things are going wrong. I strongly encourage you to take a listen. It was a really interesting interview, and you will learn a lot about how successful runners are able to overcome those moments of doubt. What can we do to make sure we do not let ourseslves spiral out of control? How can we give ourselves the best chance of success in a race, without changing anything physically? Like your muscles in your body, your emotional state has to be trained to deal with that pain too. Have you ever noticed that it is much more difficult to push yourself in a race or a workout after you have not done it in a while. That is one of the reasons, actually, the main reason those rust buster races are usually not great. It is not so much physically, but we forget what it feels like to push through the pain. We forget that running may bring us happiness, but it also hurts, a lot! When you are forced to step away from it, all you can see are the good parts of racing, but you forget that in order to achieve that moment where your hands are in the air, beaming with pride, you had to go through some real pain to get there. Like the old saying goes, anything worth having is worth fighting for. Therefore, tip number one is that you need to keep doing it. Persevere and trust that you will get stronger, you will get better at handling the pain, and each time you race, you are taking a step forward, getting stronger, even though it may not seem like it at the time. When we are in that moment of a race where we have to make a decision of whether we are going to push through the pain, or give in to the voice telling you to slow down, as I mentioned earlier, we often forget why we are doing this. Travis Macy talked about these “why goals” in much more detail in his podcast episode. Remember, you want to get that feel good, hands in the air, proud moment at the finish. If you think about that moment, and how good it is going to feel, it may just be enough to kick you back into gear, and make you realize that you are actually not hurting as bad as you thought. Or that you want that end goal no matter how much it hurts. If you visualize yourself crossing the finish line, huge smile on your face, you are probably going to wake yourself up enough to get through the rough patch. We talked about this in more detail in our post on visualization. Often we go through these mental struggles because we feel like we are going to let someone down. We wonder about what others are going to think or say if we do not have a good race. We wonder what will happen to our self worth if we do not succeed in running. Especially in our sharing culture, we think about what we NEED to do too much. Remember, at the end of the day, it is just running. It is just putting one foot in front of the other. It does not say anything about who YOU are, and you have more to offer this world than just being a runner. You will still be you, and your family and friends will love you no matter whether you finish first, last, or even if you DNF. I actually wrote more about this on my personal blog post; Be Brave, Be Strong, Be You. Reminding yourself of this before the race, or even during, can be a great way to change your mindset to see that there is no need to be nervous, this is just a reward for your hard work. Running is an individual sport, yes, but that does not mean there are not other people involved. We each have our own support network, filled with friends, family, physical therapists, coaches, or whoever else yours may include, but those people support you and believe in you. Sometimes when a rough patch hits in a race, it helps to take your thinking away from “I” and dedicate a mile (or minute) to each member of your support network instead. This usually works best with the marathon as it shifts your thinking away from how long you have to go, but instead you are just focusing on one mile at a time, and giving your best for that person who has given you their time and support, and most of all, believed in you. That being said, it can work in a shorter race, if you think about how much those people mean to you, and how good it will feel to hug them afterwards when you have accomplished your goal. Another way of looking at this, is to think about your team. If you are a part of a team of runners, or running for a charity, you want them to be successful, you want them to earn the respect they deserve. By shifting your focus away from I, it helps you to get rid of that whiny voice in your head, and focus on other people instead. This one is fairly well known, but different for each of us. We all have our own phrases or mantras that help motivate us, and which one works for you will depend on the experiences you have had in your life. As I am sure you can guess, this is a little too long to recite in a race (but I do actually know it word for word! ), I therefore say to myself, “keep moving forward” amd that is enough to motivate me most of the time. Look around you. Think hard about a favorite quote, and find some way of reminding yourself of it, using one word or a few words. And do not be afraid to change if you find one is no longer working for you. When I raced the London marathon, my word was “believe”, and I even went as far as to write it in big letters on the insdie of my forearm. When I struggled, I looked down at it, and it reminded me of why I was doing this. This is one of the most powerful ways to overcome a struggle in a race, and you can personalize it to you! This one is often used by elites towards the end of a race. This is a great way of distracting yourself, while giving yourself the best chance of success. As we tire, our form tends to break down, which means we become inefficient, which makes it even more difficult to run faster, or even maintain. By focusing on your form, you can focus on the mechanics, rather than the pain. This is especially useful for hills during a race. We have a great post on how to run up and down hills correctly. Think about those points when you are having a hard time. It may just be the distraction you need. Just like focusing on your form is a distraction, another tactic is to count. Paula Radcliffe used to count during the tough patches of her world record setting marathons. She chose to count to 300 as she knew that would be about a mile for her. For most of us, 300 is not going to be enough to reach a mile, but the technique works the same. By keeping your mind focused on doing a cognitive task, it is not able to think about how much you are hurting, or spiral out of control with negative thoughts. I actually tried this in my previous marathon segment, and found that although it only worked for a few miles, sometimes those few miles, or even just a few minutes of distraction are all you need. It helps you to focus on the present, rather than the future (or what you have left to go). When we are running, it can be hard not to look at how far we have to go, instead of how far we have come. 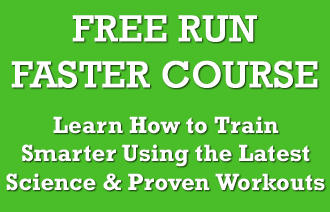 This can be in the sense of the race itself, the training segment or even your entire running career. Everyone has setbacks, everyone has challenges, yet it is how we overcome those challenges that makes us stronger. Usually, by reminding yourself that you have been through worse, and likely been through moments where all you wanted to do was be able to run, to be able to test yourself and be in a race. Well, now is your opportunity, and if that previous struggle taught you anything, it should be that we need to make the most of every opportunity as we never know what is going to happen. Now is your time to do it for yourself, not for anyone else, but because eyou were the one who put in all those hours of hard work to get here, so you are going to do it to get the result you deserve! This one is THE most important, yet the one we most often forget. I was only reminded of this in the London Marathon this year, but at the end of the day, we run, and especially race because we enjoy it. We WANT to be out there. We all have our own sources for the joy in running; it may be the finish line, it may be the wind in your hair, it may be the comraderie with other runners, it doesn’t matter, what does matter is that you find YOUR joy in running. Sometimes we can be tempted by other things, we can put pressure on ourselves, or think about the bad, but if you just focus on going out there and enjoying it, you will probably find (I definitely do) that you have a more positive experience AND you run faster! Unfortunately, at the end of the day, racing does hurt. It is going to test your mental strength, and no amount of tips or tricks will make it hurt any less. However, that pain is what leads us to the moments of pride; because we know the struggle we have been through to get to that moment. Hopefully you will be able to use at least a few of these for future races of your own to stay strong in your weakest moments. If you have a tactic that you find especially helpful, share it with us in the comments. Maybe your suggestion will be what really helps another runner! And here’s a tenth way I use myself. It’s somehow a mix between 2 (thinking about the finish line) and 6/7 (counting and distracting the mind) : just set yourself mini milestones. “Just one more mile. Done — already ? Ok, then just one more. That bush there ? Let’s go for it !” I find it really efficient — and it can really push me further (and faster). Hi Giles, thanks for sharing! That is a great tip, definitely helps a lot if you are struggling because you do not think about the big picture, but just breaking it up into manageable chunks. Do you find this works for all distances?